I literally can't think of anything to write so today's post is a beauty product review. 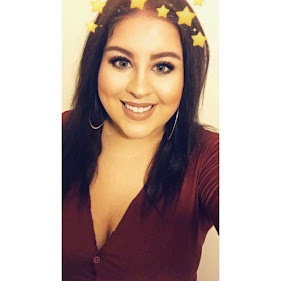 I have just ran out of Revlon Colorstay, a foundation that I have been religiously using for 2 months straight and I thought I better let you know why and how this wonderful high street foundation has been my go to for the last few months. As you may know if you have been reading my blog for a while, I hate the quality of drugstore foundations. I have just never found a high coverage, long lasting foundation that doesn't cake up, doesn't change colour when it dries or clogs my pores so bad that I get huge spots all over my face. Today I am going to tell you how Revlon colorstay may have just become the game changer for drugstore foundations. I had heard a lot of things about Revlon Colorstay in the past and about 8 months ago I tried it out for the first time on a whim of having a bit of change in my purse and curiosity of the product, on this occasion I was not a fan. Not only had I purchased the wrong colour by miles, it was a different formula all together. I had purchased the original Revlon Colorstay for normal to dry skin and my skin had never reacted so unfortunately to a foundation before. It clumped, it dried like clumps of a harsh translucent powder and of course it was the wrong colour. Then in February this year Boots had an outstanding offer, Revlon Colorstay was half price so instead of £12.99 it was retailing at £6.99, and at this point I had continued to see beauty bloggers rave about this foundation. I had to give it another go so I did my research and quickly realised there were two types of this foundation - normal to dry skin and combination to oily skin. I have combination skin almost oily and realised quickly this was where I had gone wrong on my original purchase. I also took a lot of time choosing the colour and making sure it was the right one. 2 months on and I honestly can't believe the difference in this foundation compared to my original purchase, it is the perfect formula and coverage for my skin. I use this foundation every single day and being a busy working mum I need makeup that has ultimate staying power to hold my look through long days at work and beyond. 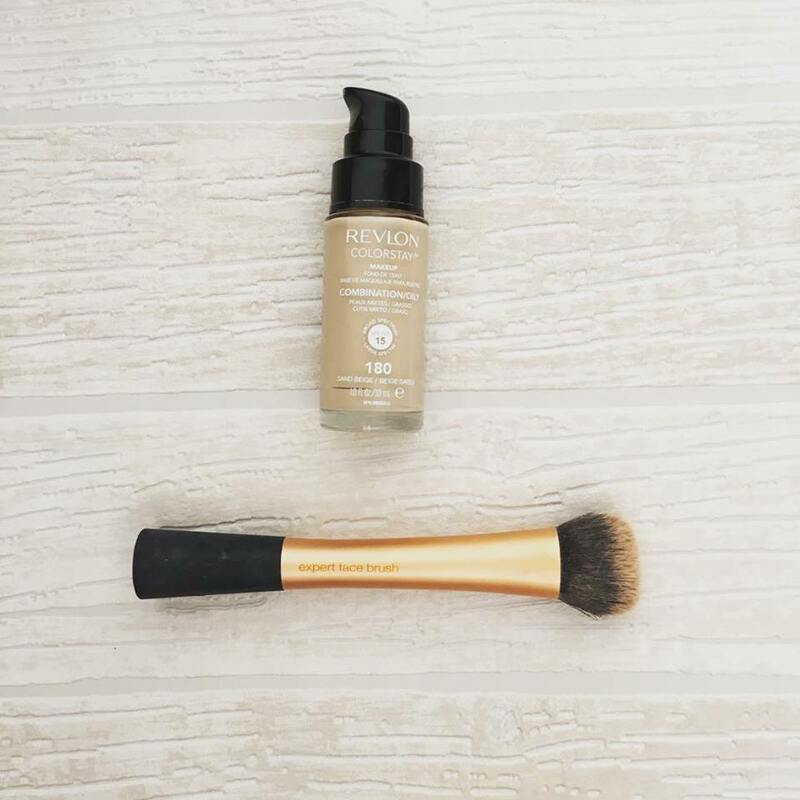 To apply I use probably 3 pumps for my favourite full coverage and most days buff it in with Real Techniques Expert Face Brush, Boots £9.99 however I really recommend for a perfect full coverage Real Techniques Miracle Complexion Sponge, Boots £5.99. I don't ever need to conceal with this foundation on a day to day basis because the coverage is THAT good, however I do conceal on nights out just for that extra coverage, the foundation blends so well with concealer too. I don't prep my skin with my Nivea For Men either, just a simple morning moisturiser will suffice. The coverage spreads easily and evenly, leaving you with a flawless finish that doesn't oxidise, dry out or cake. The REAL super power is the way it stays ALL DAY, not only myself but my friends and family have been commenting on how well the foundation lasts. I have extremely oily t zones and I find that foundations slide off my nose especially as a glasses wearer this can be a common issue. This foundation doesn't slide at all, I have been trying to find a foundation that can achieve this for so long and I can assure you it really does have a 24 hour stay. I have taken a selfie at 8pm at night with the same make up I applied at 6:30am, it's INCREDIBLE. So yes, I do recommend this foundation 1000% and I especially recommend this to people with oily skin as you really will see the difference. Using the tools I have recommended for application is a must for the same flawless complexion I have been achieving since using this foundation. I will be using this foundation for a long time to come, I can't believe I have become a drugstore foundation convert, and it's all thanks to this wonderful product. Please don't hesitate to leave me a comment below letting me know what YOU think of this foundation! Do you love it or do you hate it? Let me know!